The University of Michigan in Ann Arbor today announced the value of its endowment climbed to $11.9 billion, $1 billion more than a year ago. The university said its rate of return on investments is near the top of all university endowments and new investments through the Victors for Michigan fundraising campaign. The investment return for the university’s long-term investment portfolio, which is mostly made up of the endowment, was 10.7 percent in the 2018 fiscal year, which ended June 30. With a 20-year annualized return of 9.6 percent, U-M ranks in the top decile for long-term investment performance among university endowments. Erik Lundberg, the fund’s chief investment officer, says this performance was sufficient to sustain and grow endowment in real terms, net of spending. Endowment distributions, or the money university units and affiliated organizations get to spend, totaled $346 million in fiscal year 2018, up from $325 million a year earlier. Over the past 20 years, endowment distributions are approaching $4.5 billion. The endowment is a collection of more than 11,000 separate endowment funds that provide support for specific purposes such as scholarships, educational programs, research, and professorships. About $2.4 billion is dedicated for use by Michigan Medicine, while another $2.5 billion is used for student scholarships and fellowships. “The positive performance of the long-term portfolio (9.6 percent) compared to the median college and university endowment (6.5 percent) suggests that the Investment Office has added an additional $3.1 billion of value since it was established in fiscal year 2000,” says Lundberg, who has led the office since its inception. 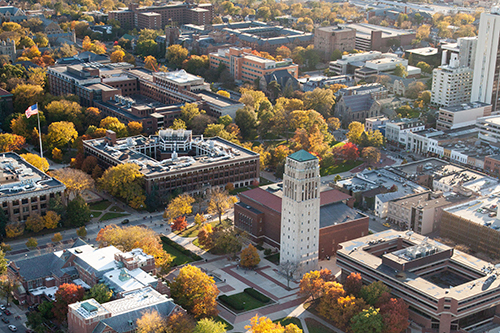 Recent endowment gifts are part of the Victors for Michigan fundraising campaign, which earlier this month reported raising more than $5 billion, making U-M the first public university to raise $5 billion in a single campaign. The board of regents Thursday approved a model portfolio for the university’s long-term portfolio, which provides investment allocation ranges for each individual asset class. The approved model portfolio for the year ahead would be composed of 28 percent equities, 18 percent absolute return, 12 percent fixed income, 12 percent private equity, 10 percent venture capital, 10 percent real estate, 8 percent natural resources, and 2 percent cash. Within each category, there is an acceptable range to allow for modest shifts throughout the year. The board also has the flexibility to adjust the ranges as new investment opportunities arise. Presenting the model portfolio to the board for approval was one recommendation made recently by the accounting firm PwC after an external review of the university’s investment functions. The university’s endowment distribution policy, together with its long-term investment strategy, provides a steady flow of dollars each year for operations. The long-term approach is designed to protect and grow the endowment corpus in real terms. The U-M endowment is ranked ninth largest among all U.S. universities, and third among public universities. On a per-student basis, U-M endowment has been ranked 84th, making it much smaller than many private school peers while supporting a larger number of students.